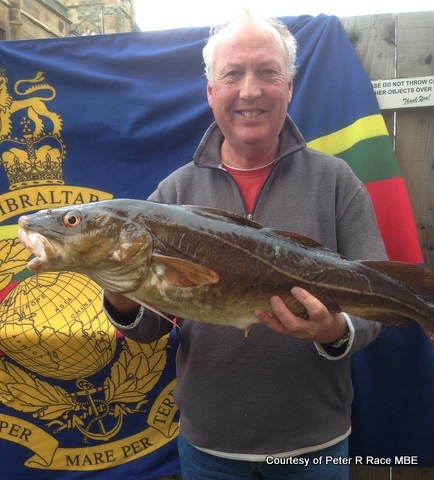 A haul of more than 20 lb of cod was the winning catch in the first 'Royal Marines Association Charity Open'. 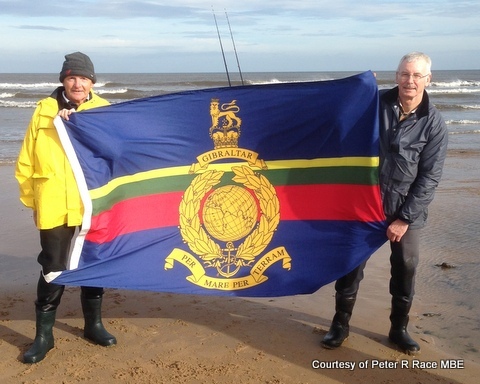 In total 40 competitors fished between South Gare and Whitby on Sunday October 20 and raised more than £600 for the charity which supports serving and veteran marines and their families. This includes aiding those wounded or the families of those killed in action. 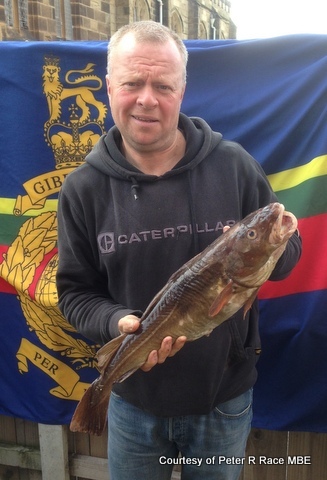 Rob Allison won the first prize of £300 with his catch of 10 cod, weighing in at a combined 20lb 15oz. Second prize went to Bernard Westgarth who reeled in a 12lb 14oz cod. This impressive fish also saw Bernard topping the heaviest round fish category. Third place in the overall weight prize went to Ray Maddison whose half a dozen fish totalled 7lb 14oz. The weigh-in at Redcar Citz Club, Lord Street, also saw Tony Longstaff win the heaviest flat fish category, with a 10oz flounder caught off Redcar. Of the 40 competitors 22 landed fish, including Elisha Stephenson who won the junior category with an 8oz whiting. 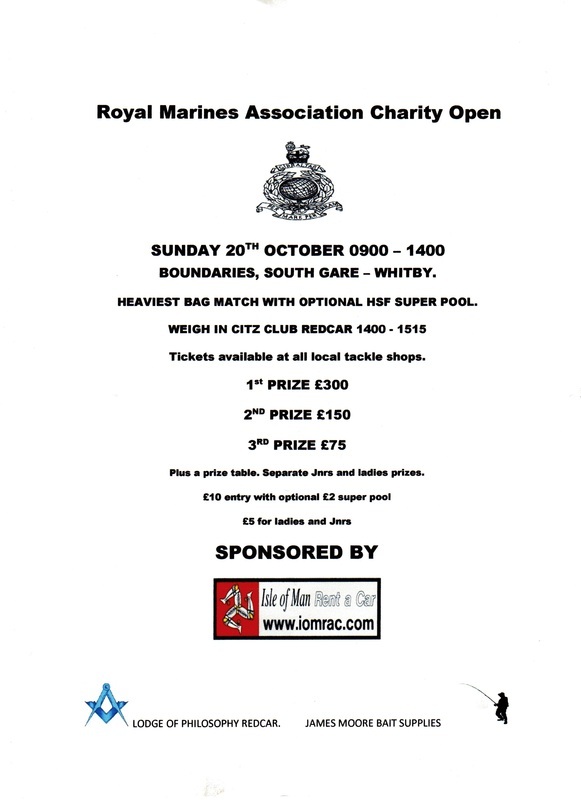 Organised by a serving marine the competition was also supported by local businesses and organisations including: Isle of Man Car Hire, Redcar Lodge of Philosophy and James Moore Bait Supplies. Thanks also go to tackle shops, Redcar Angling, Billingham, Keith's Sports and Whitby Angling. The organisers are grateful to all competitors for their support and hope the competition will become and annual event. L/H Don Strathdee from Isle of Man Rent a Car and Tony Longstaff from Lodge of Philosophy. 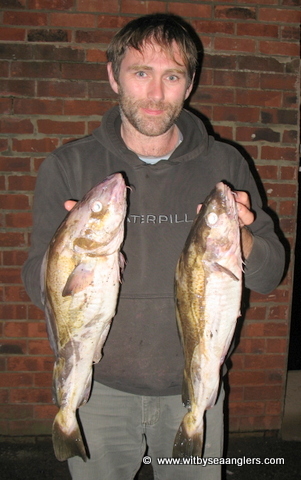 Rob Allison with 2 of his best fish from a bag of 10 codlings for 20 lb 15 oz. Bernard Westgarth Heaviest Fish - 12 lb 14 oz.